So here goes the continuation of my first summer in Tagaytay. 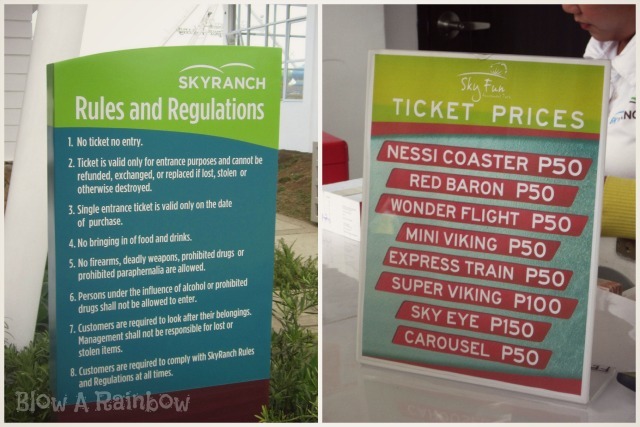 After having our lunch at Green ATS, we headed to the newly-opened Sky Ranch which is another SMDC creation. 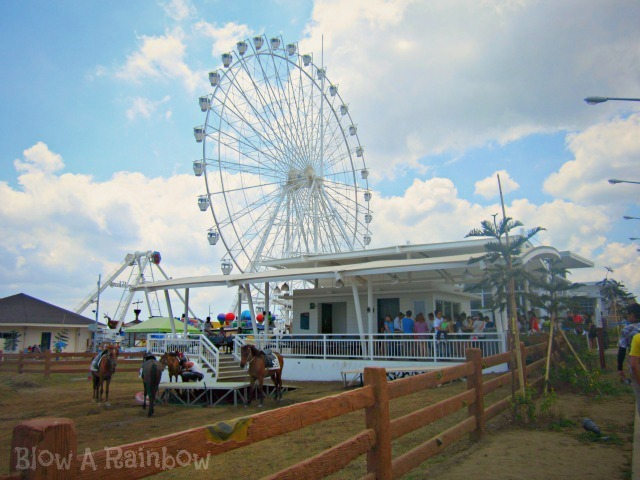 This place is boasting the country's tallest Ferris Wheel where you can see the majestic beauty of Tagaytay's famouse Taal volcano when you ride on it! This ferris wheel is merely like the one in SM Mall of Asia. Almost same in height and same in price for PhP 150.00! From the outside, you will already see this giant ride and if you have shallow happiness like me, then this view can already be breath-taking to you. To enter, you have to pay P50. You have to pay for individual rides that you want to, price ranges from P50.00- P150.00. They don't have ride-all-you-can tickets yet. Here are the people behind the reality of my dream to come here, thank you Anson family! Here's their version of viking which they call Super Viking, it is similar to Enchanted Kingdom's Anchor's Away but I think this swings higher. And to those kids that also want to ride a viking but doesn't pass the height requirement, don't worry, there is Little Viking for you.! On to the park's main attraction, here goes the Sky Eye, which a giant ferris wheel! You can see the whole city from above it! Again, it has been a short afternoon with this gorgeous place but I know, there will still be next times! I promise to visit this city again in the future and spend more summer in it! Sky Ranch is located along Aguinaldo Highway near Taal Vista Hotel. For more information, you can visit their Facebook Page. Wow. This looks like so much fun. Thanks for sharing.